Painted wood, Old State House, Boston, Massachusetts. 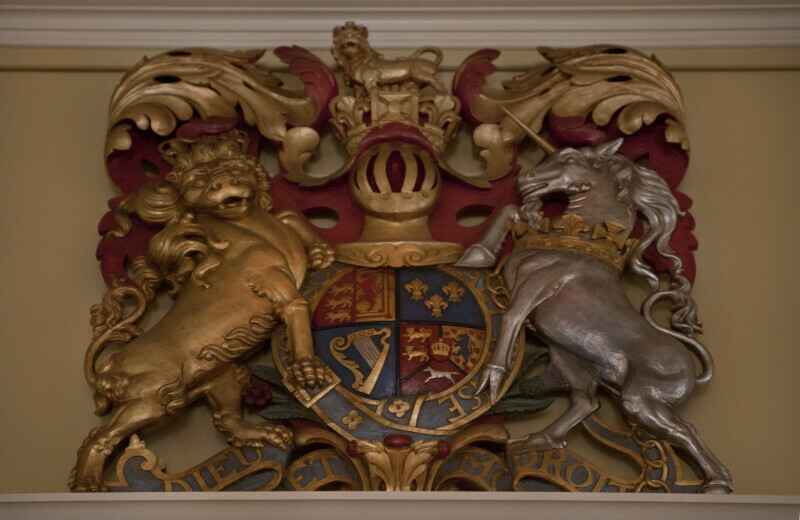 A gift by Andrew Dreselly in 1946, this gilted wood reproduction of the British royal coat of arms hangs in the Council Chamber where the original once did. When the British were evacuating Boston in 1776, loyalists took the original to Canada with them.